With Congressional hearings on drug prices, proposed rules for Medicare plans, and new ICER efforts to link outcomes to value, finding answers on how to price and pay for drugs is still difficult. For the pharma industry, the new year kicked off with committees in the House and Senate questioning the high prices of basic drugs such as insulin and the Trump administration proposing new regulations for Medicare drug plans that would change the way drug discounts are negotiated. And ICER, the independent body that assesses the clinical value of drugs, in January announced two new programs: one is an international collaborative to develop methods for value-based pricing of potential cures, and the other will assess whether the most significant prescription drug price increases are supported by new clinical evidence. Additionally, one company that provides a system in which pharma, PBMs, and HHS can centralize the contract and rebate negotiation process hopes that a partnership with another company that assesses the clinical and outcomes value of drugs can introduce efficiencies and clarity into the processes that will ultimately provide the best prices for patients. But as policy makers and pharma advocates continue to debate, the answers of how to tie price to outcomes and affordability – as well as how drugs are currently priced – remain unclear. In January, after newly elected Democrats took over the House, the House Oversight Committee – led by Rep. Elijah Cummings, D-Md. – announced an investigation into 12 pharmaceutical companies and their drug-pricing methods. In late January, the House Oversight Committee and the Senate Finance Committee – led by Senator Chuck Grassley, R-Iowa – brought in pharma executives, patient advocates, and health experts to discuss the damaging effects of high insulin prices. While no one who testified was doubtful on the therapeutic value of insulin, there were a lot of questions from legislators about why insulin prices had gone up. A study by the Health Care Cost Institute (HCCI) found that between 2012 and 2016, insulin spending by each type 1 diabetes patient went up by $2,841, to $5,705 per person on insulin in 2016. The cost of diabetes supplies such as testing strips and other prescription drugs was $4,119, a 22 percent increase during that time period. “The increase in gross spending on insulin was larger than any other category, nearly doubling between 2012 and 2016,” HCCI reported. At the end of January, the Trump administration proposed new rules for Medicare Part D plans in an attempt to lower drug prices. The way the system works at present is that drug companies set a price for their products and then pharmacy benefit managers negotiate a discount in the form of a rebate, on behalf of insurance plans. PBMs keep some of that money for themselves and the insurers use some of it to help lower premiums across the board. However, the Trump administration proposal would ban those rebates in Medicare plans and force PBMs to just accept a flat fee for their work. While Part D premiums would go up, Health and Human Services expects that senior patients will save more at the pharmacy counter. While the proposal would only apply to Medicare plans, Azar seemingly doubled down on it, in his remarks to the Bipartisan Policy Center, when he called on Congress to end rebate practices all across the market. “Congress has an opportunity to follow through on their calls for transparency, too, by passing our proposal into law immediately and extending it into the commercial drug market,” he said. During October 2018, Health and Human Services unveiled a proposal for a new international pricing reference for Medicare Part B drugs. “Specifically, CMS intends to test whether phasing down the Medicare payment amount for selected Part B drugs to more closely align with international prices; allowing private-sector vendors to negotiate prices for drugs, take title to drugs, and compete for physician and hospital business; and changing the 4.3 percent (post-sequester) drug add-on payment in the model to reflect 6 percent of historical drug costs translated into a set payment amount, would lead to higher quality of care for beneficiaries and reduced expenditures to the Medicare program,” HHS executives say in the advanced notice of proposed rulemaking. In its December response to the Part B proposal, the International Society for Pharmacoeconomics and Outcomes Research (ISPOR) stated that international reference pricing in Medicare Part B could have some potential advantages. The scientific organization surveyed its membership, and some possible advantages were suggested. Another advantage to international reference pricing might be from a health technology assessment (HTA) perspective, ISPOR says, in which the clinical and economic effectiveness of a therapy across countries and geographies might be evaluated more consistently. The disadvantages to IRP, according to ISPOR, are changes in behavior of both payers in the referenced countries and the manufacturers supplying them. If prices are raised in Country B, then overall returns to R&D will increase and patients in Country A will benefit from more innovation, but two things are likely to happen, according to ISPOR. Despite all the government hearings and proposals, don’t expect a lot of movement on the pricing issue in 2019, says Jeremy Schafer, senior VP and director of the Access Experience Team, Precision for Value. “The primary issue is that the true net pricing system in the United States is incredibly complex and convoluted,” Schafer told Med Ad News. “In fairness to manufacturers, their hands are somewhat tied. Rebate and discount contracts with PBMs and pharmacies are confidential, meaning that open disclosure can’t be done without violating contracts and revealing competitive strategy. In addition, the way that PBMs pass the lower net cost onto employers and health plans is not something the manufacturer can influence. (For more about the proposed Medicare Part B reference plan and recommendations on how pharma companies could prepare if the program is implemented, see the “Will the U.S. adopt global reference pricing?” Med Ad News February 2019 extra feature). In 2018, PhRMA member companies voluntarily pledged to share information about what patients could potentially pay for specific products as part of its DTC advertising. 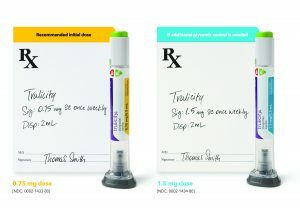 Eli Lilly was the first, launching a website in conjunction with its DTC advertising for Trulicity, lillypricinginfo.com/trulicity. The site shows Trulicity’s “list price” of $730.20 a month. He suggests that the pharma companies partner with medical organizations or even the government to validate the accuracy of the information offered by the industry and build trust. “If the information is made available and understandable to patients, it may spur more pressure from the patient side onto PBMs to demand changes to benefits that will allow more patients to reap savings directly,” he says. 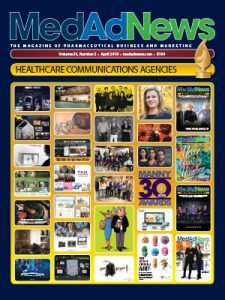 The pharma industry “would be well served by communicating to patients and everyday consumers the monumental changes that medications in particular categories have brought to society,” Schafer told Med Ad News. “Many times the value discussion is focused on an individual brand which can get lost in the deluge of negative news that consumers see every day,” he says. “Instead, pharma could communicate how drugs have helped dramatically alter the rate of cardiovascular death, have made some cancers ‘curable,’ and have changed the survival picture for people with diseases like hemophilia. When presenting “value” to PBMs and payers, however, the focus should be on the individual drug with information on savings that payers can identify and quantify. While indirect costs and quality of life are important for understanding overall value, these metrics need to be connected to interests of payers in order to be viewed as valuable since payers will focus on direct impacts such as avoiding use of other medications, not going to the emergency room, reduced hospitalizations, etc. At the end of January, the Institute for Clinical and Economic Review (ICER), an independent and non-partisan research organization that objectively evaluates the clinical and economic value of prescription drugs, medical tests and other health care and health care delivery innovations, made two announcements. In one, ICER launched a new international collaborative to develop new methods to guide value-based pricing; in the other, the organization will be studying whether the most significant drug price increases are supported by new clinical evidence. The drug price increase study proposal, which ICER plans to turn into an annual review called the “Unsupported Price Increase” report, will analyze significant prescription drug increases and determine whether or not new clinical evidence exists that could be used to support those increases. ICER plans to release the first of these reports in October. ICER is also not clear about what it will consider “new information” and how it would affect any models. “ICER states that its literature review will examine ‘randomized trials, high-quality comparative observational studies, and, for information on low-frequency harms, from large uncontrolled studies,’ but to date most efficacy and safety parameters that ICER has used come only from randomized controlled trials,” Shafrin says, adding that it is unclear how ICER would update its existing models if new high-quality observational studies were identified. “Further, over time evidence for additional components of value will be generated, but it is not clear if or how those would be incorporated into ICER’s value assessment,” Shafrin told Med Ad News. His third critique, which is a general critique of ICER, is that “the value assessments continue to measure the value only for the average patient and not fully incorporate patient preferences. “In practice, what value assessment should aim to do is identify the highest value treatment for each patient,” he says. One of the problems drug companies have been grappling with has been trying to keep track of all the information related to the bidding and contract processes for PBMs to negotiate rebates. Enter Quantuvis. Started by former Hobart Group head Lisa Bair, Quantuvis provides a platform for pharma and payers to centralize all the information generated during the bidding and negotiation processes. With insurers such as Optum Rx and Humana in the Quantuvis system, “we’re standing at 50 percent of the lives covered,” according to Bair, who says the system makes negotiation go much faster and get to a better endpoint so that pharma understands what the contracting is for and payers absolutely know what to put on formulary based on where they net out with their negotiation process. By having a centralized, secure place for pharma and PBMs to keep track of information for contracts, Bair believes cost savings can be generated from money that was spent on things such as audits and legal time. Additionally, a recently announced partnership with a company called Dymaxium will provide a way for pharma and PBMs to include outcomes and clinical data into the evaluation. Dymaxium provides FormularyDecisions.com, a comprehensive platform supporting the exchange of information between life sciences companies and payers. The site is home to the AMCP eDossier System and a community of more than 1,900 U.S. payers and health care decision makers, and is billed as “the only community with identified ACTIVE payers” who are reviewing products for reimbursement and can provide direct qualitative feedback to better inform drug company strategies. “Everyone’s really trying to crack the nut around value-based contracting and assessments of formulary, but without having any sort of framework to bring those two closer to one kind of third-party system that allows all that data to be shared across many groups – the payers, the PBMs, and the pharmaceutical companies – is what we see as a way to monetize the opportunity for content, pushing out information about drugs coming to market,” Bair says. Through Quantuvis’ partnership with Dymaxium, pharma companies will be able to get a better understanding of how the formulary position of a product is going to look before launch, based on this assessment and the quality of the format. Once the drug hits the market, the commercial teams can turn to Quantuvis during the rebate negotiation talks with payers, Bair notes.